Today Americans think of the French as effeminate snobs who are lazy and weak. This caricature was in part inherited from the British, but it has been allowed to flourish in the absence of a historically informed citizenry. This distorted view of the French is unfortunate given the significant role the French played in the American Revolution. 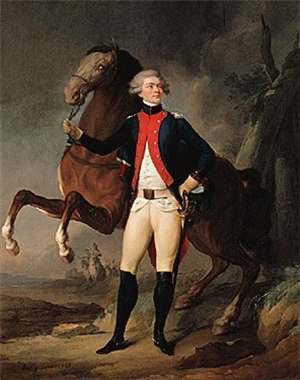 And one Frenchman in particular stands out as a forgotten American hero: the Marquis de Lafayette. During his lifetime he was treated like a rock star by grateful Americans, who were very much aware of the key role he played in the American victory. But since then he has faded from historical memory as the complexities of the revolution gave way to a simplified heroic narrative. At the HNN, Thomas Fleming recalls Lafayette’s valiant heroism at Yorktown: “The Marquis de Lafayette played a crucial role in the final attack. His Americans captured one key redoubt, while French troops captured another one. The allies soon had cannon in the two redoubts, enabling them to fire directly into the rest of the British defense line. 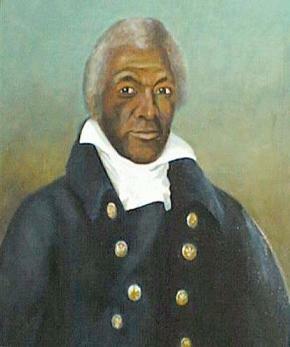 Cornwalliis [sic] decided it was time to surrender.” This victory was also made possible by Lafayette’s servant, and former slave, known as James. He infiltrated the British camp pretending to be a runaway, and came away with crucial information that led to the victory at Yorktown. History News Network | How Lafayette’s Arrival on the Hermione Made Yorktown Possible.